Grace helped me FaceTime with my husband Alex last night while I was on my night dive! It was fantastic! Its DECO DAY! Right now I'm sitting at the table as Otter and Ryan rush around preparing the habitat for our decompression to start. 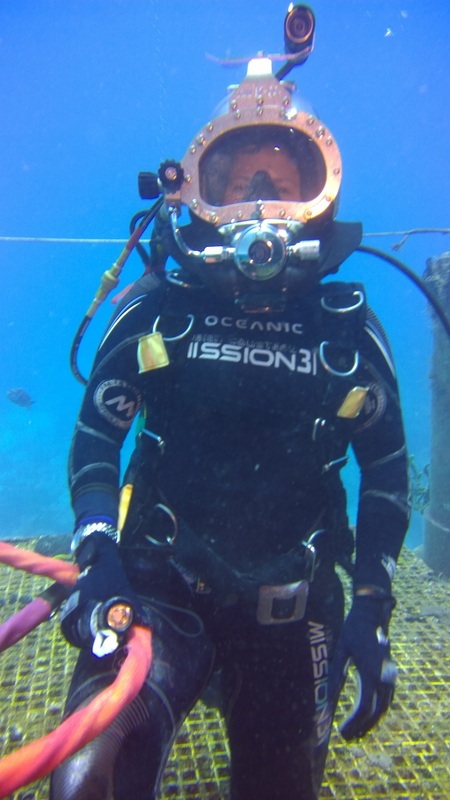 I'm really excited to reemerge on the surface tomorrow morning, but also really sad that Mission 31 is over. Our belongings are all being potted up today, and we are going to officially start decompression around 3:00PM this afternoon. 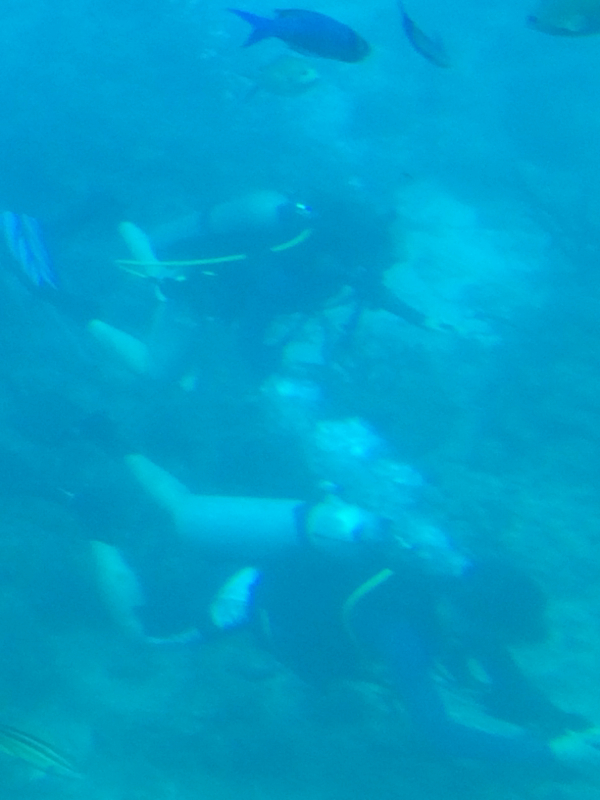 This morning we got to go out for one last dive. And it was an INCREDIBLE DIVE! The moment I got into the water I spotted a feeding frenzy right below the habitat. There was a large school of bait fish swarmed by over 15 groupers, and countless snappers, tarpon, a nurse shark and other animals. We observed this incredible display of life for over an hour. During that time the largest of our residential goliath groupers, JYC made a few passes through the swarm, and also got cleaned at a cleaning station. SO AMAZING! I love the latest Mission 31 video. It is a time lapse of out side the habitat during one day. The video really shows the amount of life that lives on and around Aquarius. 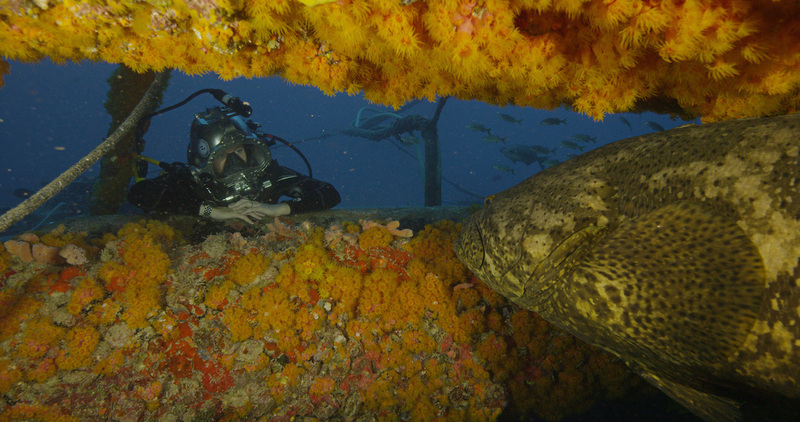 Goliath grouper and I hanging out underneath the habitat! 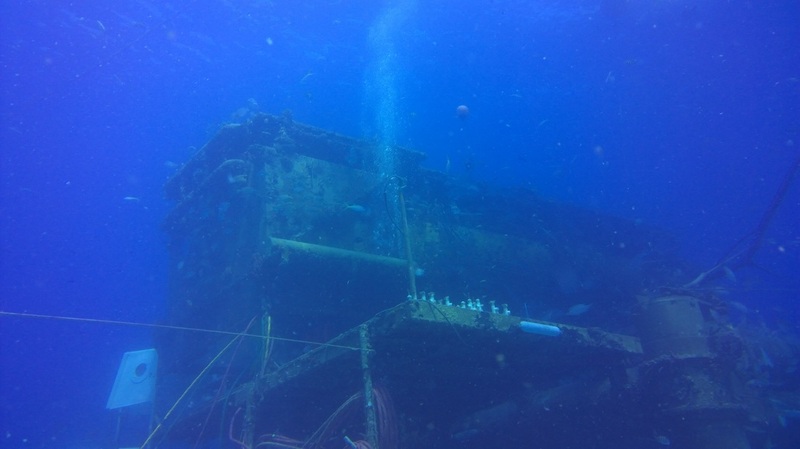 I've got 3 dives left while in Aquarius- tonight, and two tomorrow. We have plenty of work to get done in the water, but I also hope we get the chance to enjoy the wonders of the reef like I did last night! I had such an amazing time during my dive last night, and I also had the chance to reflect on the awesome-ness while on the dive. What an amazing two weeks this has been. The diving down here has been an incredible, once in a lifetime experience. I'm going to treasure moments like last night forever. We've been busy inside the habitat when not in the water. 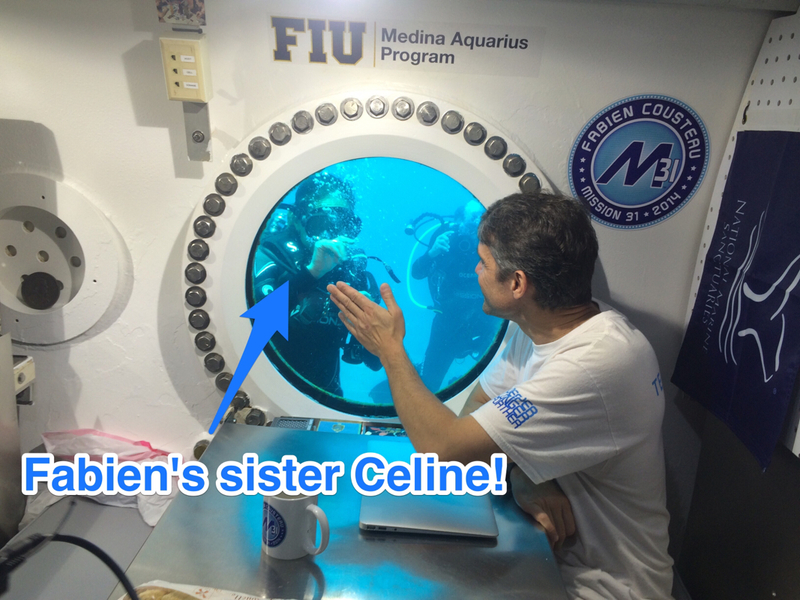 Today Fabien's sister Celine came to visit. She Skyped with her little son, and it was a fun visit. Celine brought Fabien some French cheese..... and it was SO SMELLY! Everything down here has very potent smells, so the cheese is triple wrapped to keep the smell from filtering throughout the whole habitat! Face timing with friends in California! 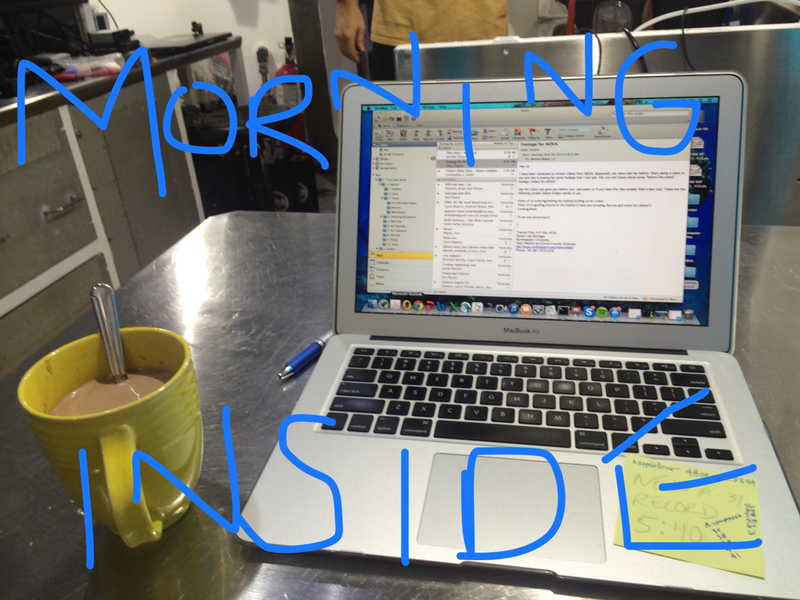 My first morning not in the water! Going a bit stir crazy !! 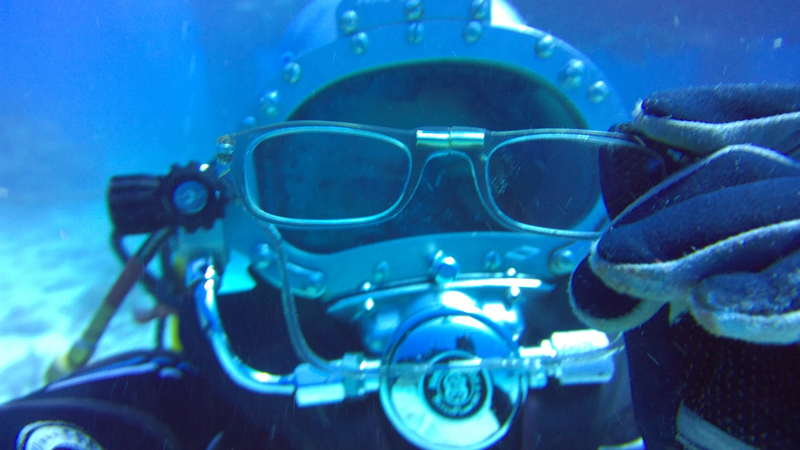 We can't all go out diving at once. We only have 3 helmets, so this morning is my turn to stay in. I'm taking the dry time to enjoy some hot cocoa, Skype with some friends from Croatia, get some work done, and chat with family! We only have THREE DAYS left in the habitat, so I'm trying to make the most of my last few days here by getting in the water as much as possible. 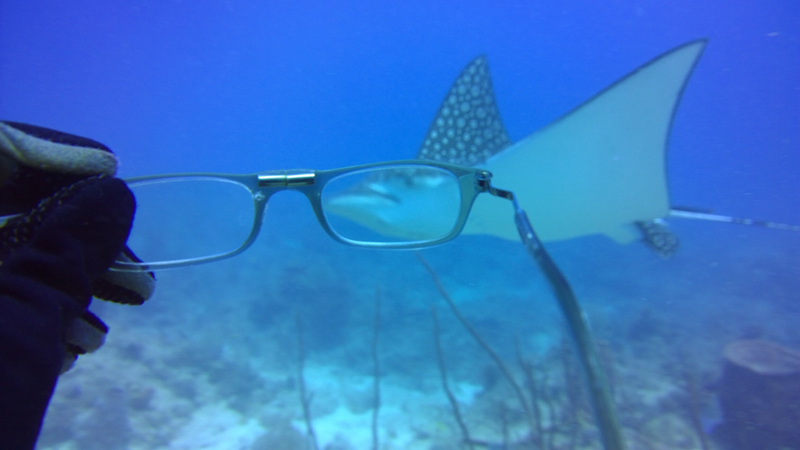 Plus, this morning the divers spotted a VERY rare Manta Ray out in the water! Maybe it will still be hanging out when I get out there in a few hours? I cannot believe that we have already been in Aquarius for a week now! Time flies down here. 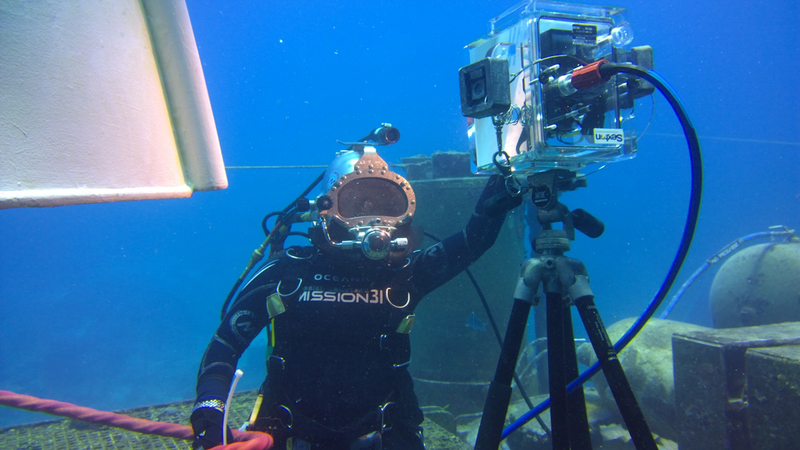 The combination of so much time in the water, plus the excitement of Mission 31 makes time slip by. We've been busy in the water with three excursions a day. In the morning we set up the plankton traps (seen above) to collect plankton from three different substrates. We then usually spend the rest of the morning collecting sponge species for the Ocean Genome Legacy Center at Northeastern University. After our morning excursion we spend an hour or so drying off, prepping for the next dive, and connecting with the surface via email. The viewport next to our table is the ULTIMATE distraction! It is impossible to complete an email without some incredible wildlife swimming into view. 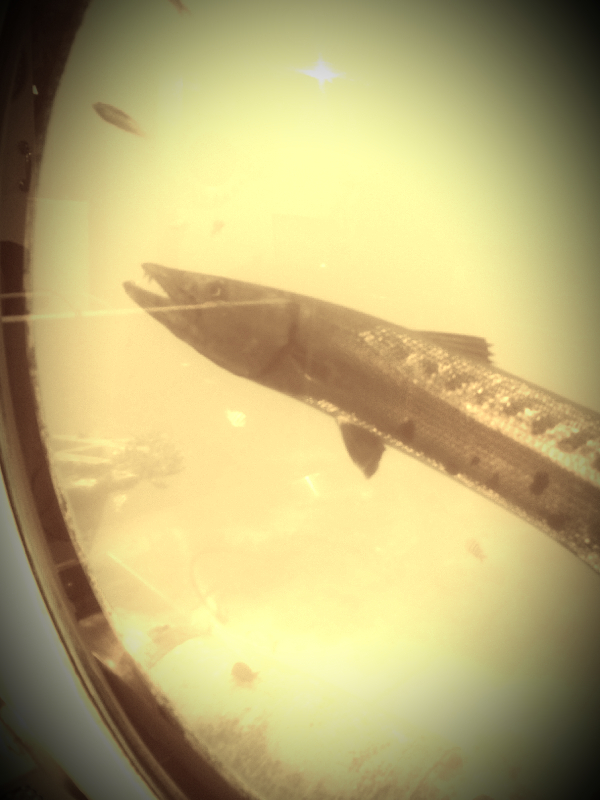 In fact, as I was typing this post up, I got a visit from a huge barracuda hunting around the habitat. The mid-day dive is on SCUBA and we spend that dive doing plankton tows and finishing up anything we didn't accomplish in the morning. During our mid-day dive we often get the chance to say hello to the surface team. This has turned into one of my favorite parts of the day. The novelty of communicating with the Northeastern divers during an excursion has definitely not worn off. Its really exciting to wave hello to them, and check in on the science they've got going on. We come back in for lunch and a warm up around 2:00pm. This gives us a few hours to "bank" more time in the water. We are able to go back out in the evening for up to three hours if we have a dry period of four hours. I really like to be able to stay out for three hours in the evening, it lets us accomplish so much while we are out. During the night dive we've been setting up the plankton traps to collect the plankton that swims up into the water column over night. We have also spent hours with the Edgertronic. Last night Ryan and I got some incredible shots with the Edgertronic. We finally have the camera dialed in, so that we we can spend more time shooting and less time setting up each shot. After our evening dive we can shower and dry off for the night, eat dinner, and make the plan for the day. This is also a chance for us to relax. Last night Matt gave us a gift from his wife Carrie. I am so excited about this National Geographic magazine, it has page after page detailing the Con Shelf II project that inspired Mission 31. What a keepsake! 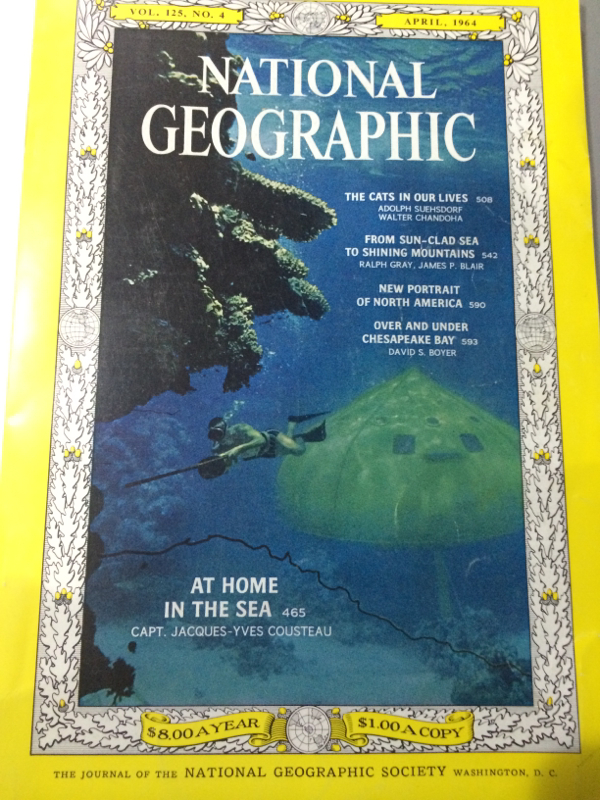 Matt and his wife Carrie gave us all the original National Geographic magazine featuring Con Shelf II! Our coolest footage yet was caught on camera tonight- a mantis shrimps stricking at a goby. This shot took an hour to set up and get framed and another to shoot. I was hard work, with many hands to help and it was AWESOME!! Me and the Edgertronic as Grace tells me what the camera is looking at from a computer inside the habitat. In this shoot we were capturing a Sergeant Major guarding it's nest! OFFICIAL MISSION 31 SWITCH OUT VIDEO! Here is the video of the Mission 31 switch out! Matt, Grace, and I switched out with Kip, Andy and Adam the other day and this video captures that exciting day so well! Today is a "down day" in Aquarius.... that means there are no visitors, no top-side boats bringing pots of gear down to us, but it is not a down day for us down here! 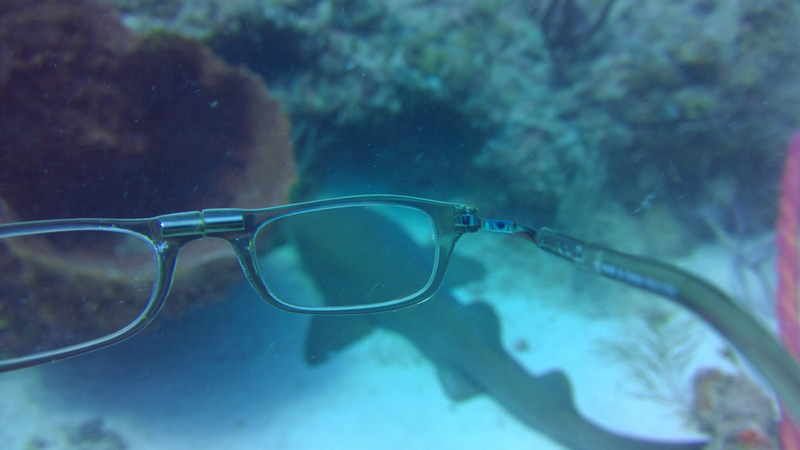 We are busy out in the water trying new things out and perfecting our research. This morning we played around with The Edgertronic high speed camera, trying to capture high definition, high speed images while in the water. It is really tricky to do because the screen for the camera is inside the habitat. So Fabian has to tell us where to move the camera to get the perfect image. Even though it is tricky, we were able to capture some incredible footage of Christmas Tree Worms pulling into their shells. 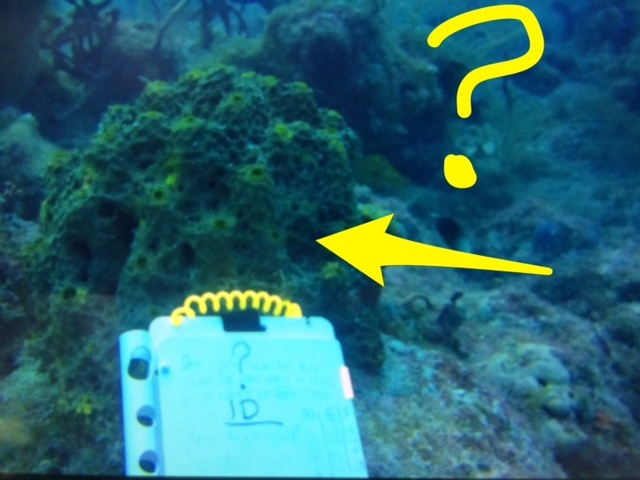 We spent a couple of hours this morning getting familiarized with the sponge species that live around the reef. 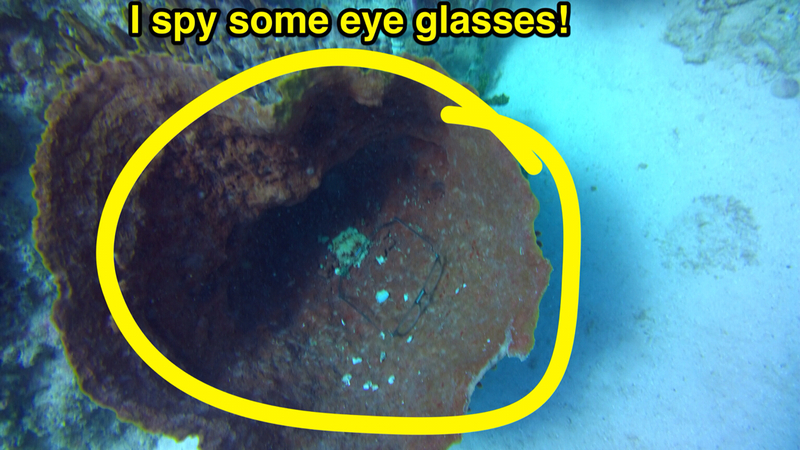 We will be collecting sample from 14 different sponge species out on the reef. 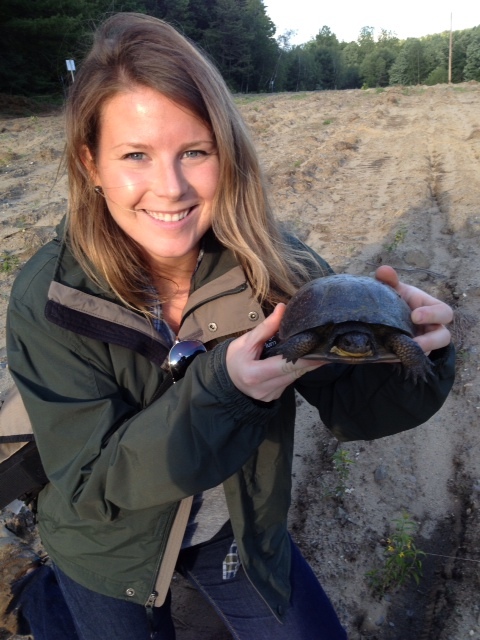 It is vitally important that we are 100% sure about the species we are collecting. 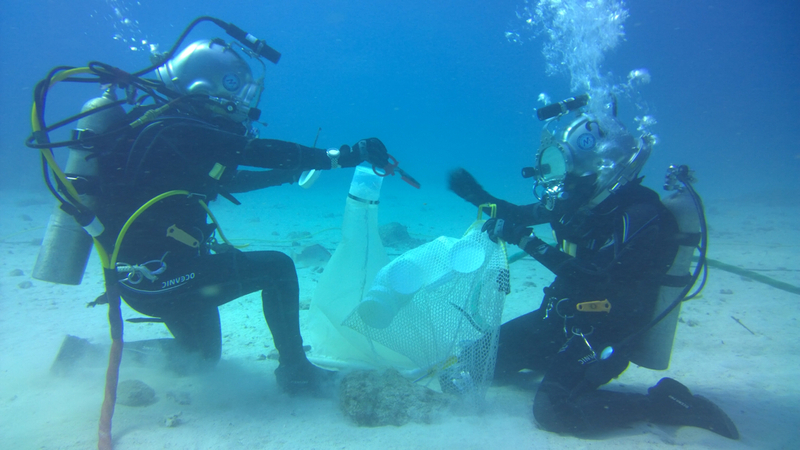 We will be taking samples about the size of a pea and bringing them back to Boston with us to hand over to the Ocean Genome Legacy at Northeastern University. They are then going to process the samples and add the DNA to their catalog. 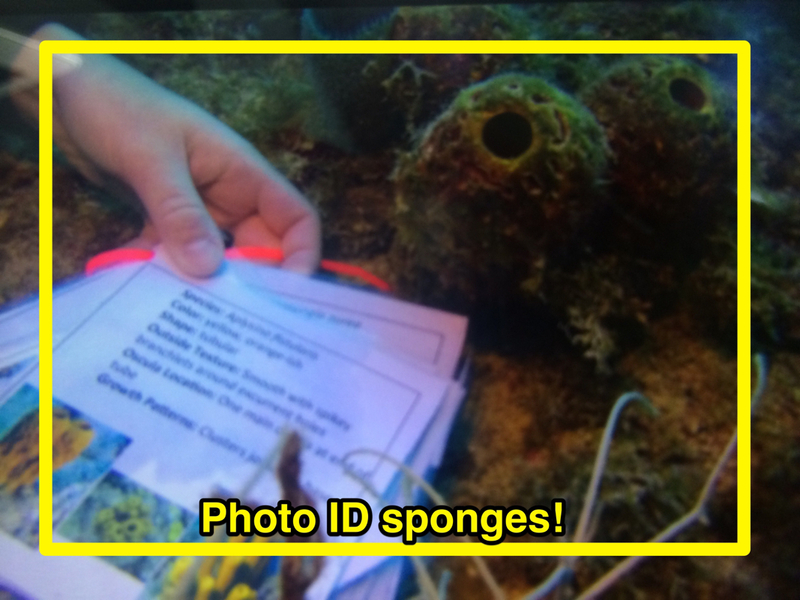 As you can see there were some sponges that we were unsure about... we made sure to take pictures of these individuals so we could go back and look at them later. Out of the 14 species, we got about 8 positively ID-ed and photographed. I call that a success! 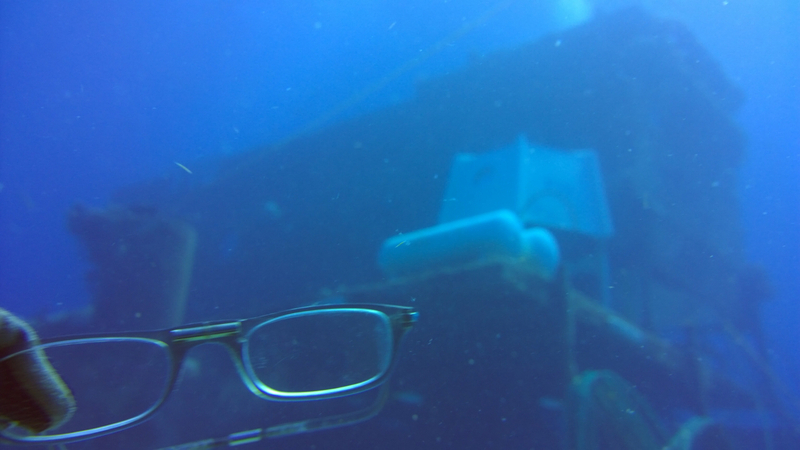 Today was another full day of diving, skyping, and living UNDERWATER! I am really excited that the science is coming together, it has been great to interact with Northeastern's top side crew while on our dives. They are GREAT divers. 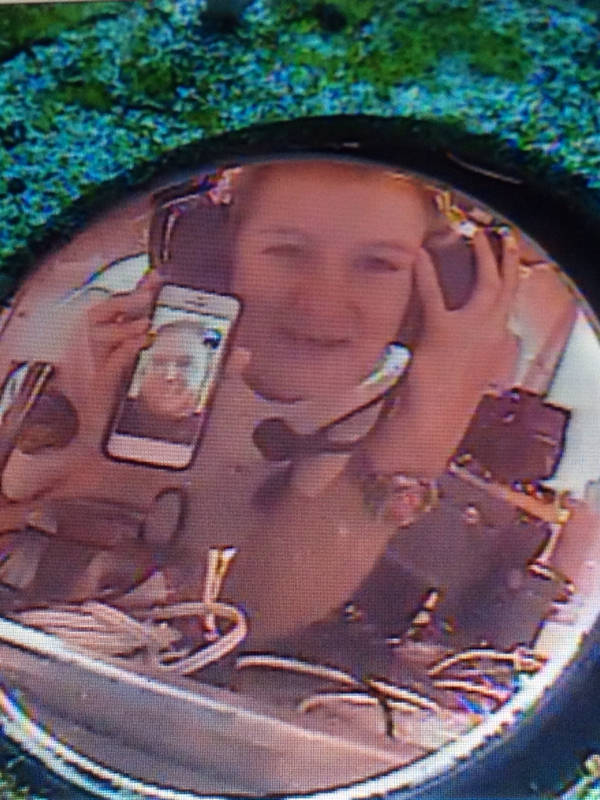 While I was inside the habitat on s Skype call with Northeastern University's Angela Herring, I was able to show her our NU divers through the porthole.... as I was talking about them! It felt like some sort of sorty within a story... our own Aquarius Skype Increption! Speaking of Increption- did anyone hear about Leonardo DiCaprio's donation to the sea yesterday? So great!! 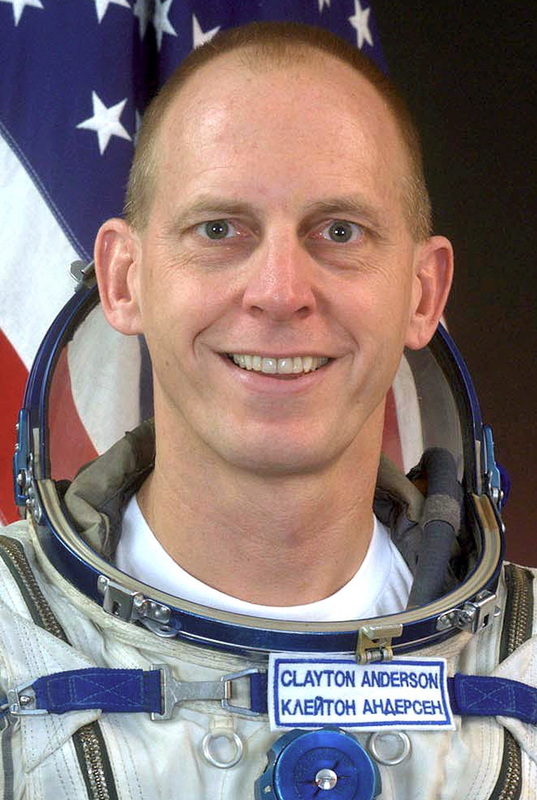 We had a VIP Diver today who has extensive experience in Aquarius: Astronaut Clay Anderson. He was very nice, and also a great dive. We met him out in tthe water before he came into the habitat to talk with Fabian about Aquarius and living underwater vs living under space. He gave Fabian a patch that had lived in space for over 150 days!! -They potted down more hot cocoa today!! So great to warm up with! We interviewed with National Geographic Magazine! I spent over 6 hours in the water!! -The giant grouper cam back to check is out in the habitat! 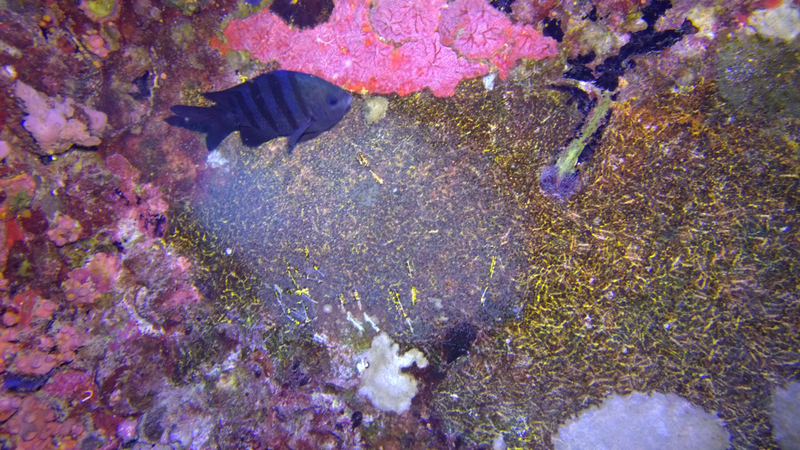 -We did our first night dive!! The Aquarius Habitat really does look like a YELLOW SUBMARINE at night with all of the bright yellow cup corals that come out at night to feed- so cool!!!! I'm so tired, but so excited about our day.